Plenty of Spare Parts and Merchandise at your fingertips; no matter where you are in Australia delivered right to your RV door. Browse our store to find what you are after, create a ‘wish list’ for family and friends, if you can’t see what you want online call us on 02 4735 8116 and speak to one of our friendly Spare Parts team who will be more than happy to assist you. With a Service network Australia wide you can have your parts fitted whilst you are on the road, either see our Motorhome & Caravan Dealer Network or let us know where you are going to be for a couple of days and we can suggest our nearest Avida Service Agent so you can get your parts fitted professionally. If you are an active Avida RV Club member, you will be eligible to receive a storewide* discount. Be sure to supply your Avida RV Club membership number upon registration. 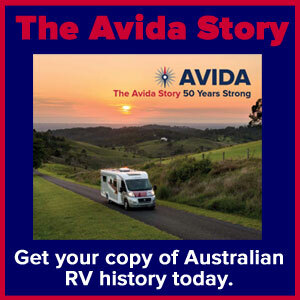 You will only be able to view your Avida RV Club member discounted prices whilst you are logged into the shop. You must be a registered user to be able to place orders with our shop. Once you've paid for your goods they will be despatched and you will receive an email notification when they have been shipped. For the majority of people in Australia, delivery will take between 1 to 4 working days. If you have any questions at all, feel free to call us on 02 4735 8116 and ask for the Spare Parts Team.